Emily Towson is a good girl, always doing the right and sensible thing and has only one thing in her mind: live well and safe. Emily Towson, a first grade teacher and the town's good girl, lives a quiet life without risks, especially after her parents passing when she was a small kid and ended up living with her grandma. Since then she only has one thing in her mind: safety. But behind that façade, Emily's dreams are full with images of her doing not so good things with Tanner O'Connor, the town's bad boy. The problem is that dream and reality are about to collide when Tanner sells a Harley to Emily's grandma. And then he calls her "sensible"... That word, said out loud for the second time that day, makes her lose her mind and an a blink of an eye, Emily and Tanner are naked doing some bad thing on his tool bench. What she tought it would be once in a lifetime got way too complicated because besides the fact that she couldn't take those steamy moments with Tanner from her mind, soon she finds out that those very same moments brought a huge consequence to her life. Not just to Emily's life but to Tanner's as well. Tanner is not an easy going person and seems to do everything he can to make people think the worst about him. Not that he cares, anyway. But when Emily is the matter, everything change. She makes him want to be a better person, but his past was too heavy and he knew Emily deserved someone better, even if the thought made him want to kill someone. And now this new situation that puts the town's good girl under a bad light spot, makes Tanner step up and think about something he'd never dreamed. But will Tanner be able to convince Emily that they're a perfect match even tough so different from each other? I just loved this book! Super unpretentious, light, with moments of laughter and some contemplative. Emily and Tanner are interesting character, with a lot of baggage, oh, and Emily's grandma? Damn, wonderful! I liked the way the author wrote about the other characters, already giving us a hint of their storylines. 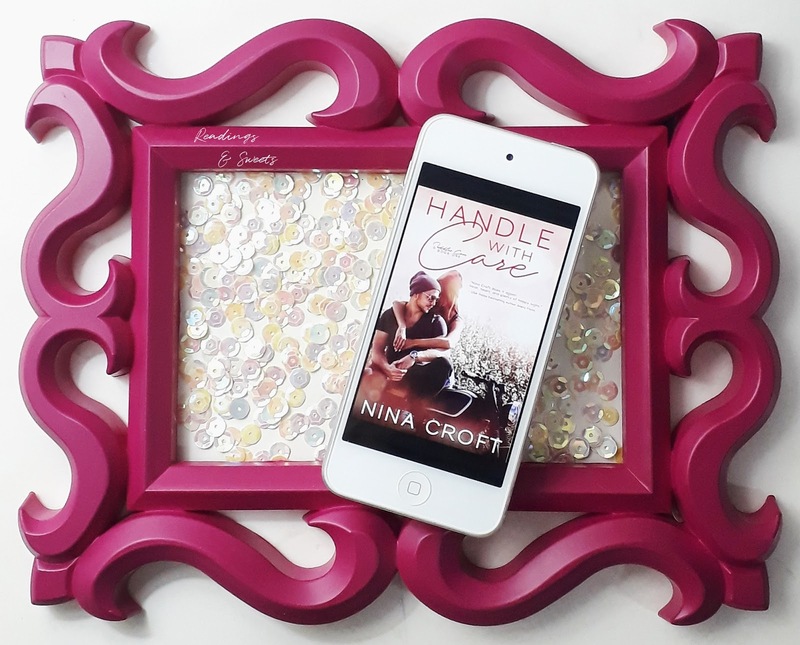 The story of 'Handle With Care' is very interesting and a little bit different from what I'd have already read out there. I was really afraid of this book would turn out in a real cliché, but Nina Croft works the story in a way that's far away from the clichés! (Btw, I love clichés!) The way the author wrote Emily and Tanner's stories shows us that the same cake has a lot of recipes and, in the end, it always works out. I hope the next books don't take too long... I'm crazy to read more about the O'Connor brothers!